We offer a five year warranty on all refinishing and one year on all repairs. 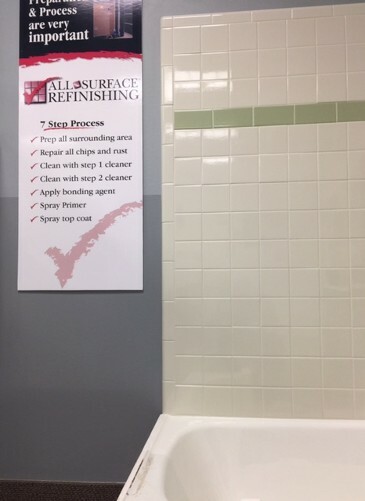 We offer a five year warranty on tub, tile, and vanity refinishing and a 1 year warranty on all repairs. We have a showroom in Richardson and you can make an appointment to view samples of before and after work. In the showroom are also clawfoot tubs for sale and we can also refinish clawfoot tubs in our shop.